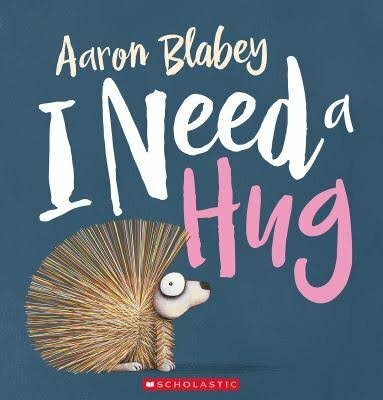 I Need a Hug is a short, but funny story with simple rhyming text. The dialogue can easily be extended by making predictions about what the characters might be thinking or saying on the wordless pages. The illustrations lend themselves really well to drawing inferences as they wonderfully capture the emotions of each character. The repetitive phrases make this a great choice for targeting grammatical goals, particularly the subjective pronouns ‘I’ and ‘you’. This book has a beautiful message of acceptance and friendship. After all, everyone just wants to feel loved. For further speech and language targets in I Need a Hug, see the list below.